Too busy to find time for Jesus? 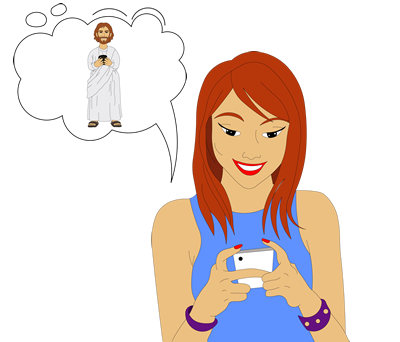 What if Jesus came to you? We lead very busy lives. By the end of the day, we've been going non-stop, and we haven't spent any time with Jesus. We are just too busy to remember Him, or take the time to stop and talk with Him. So we wear ourselves out dealing with everything in our own strength. 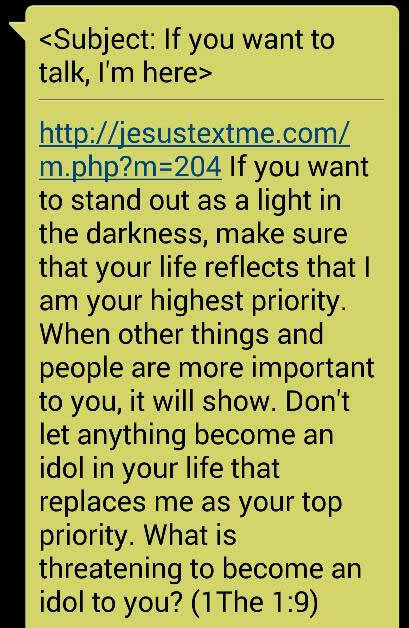 That is why Jesus Text Me interrupts your day with scripture-based messages. You get too distracted to go to Jesus, so we help Jesus come to you. 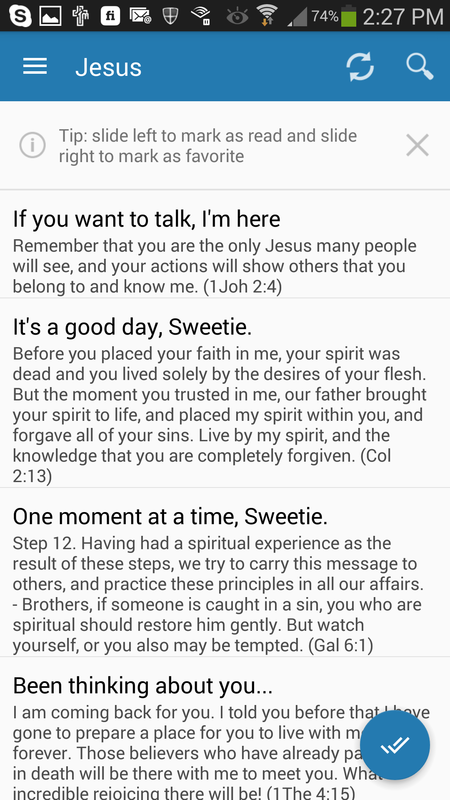 Each message is linked to the underlying scripture passage, so you can take quick breaks to read His Word. Many of the messages challenge you to act upon what He has told you, giving you the chance to put your faith into action. The ultimate goal is the complete renewing of your mind and transformation of your life (Rom 12:2). Get 3 or 4 texts per day. Select your categories, add your own private or public messages, and even add one 12 Step Recovery message per day. 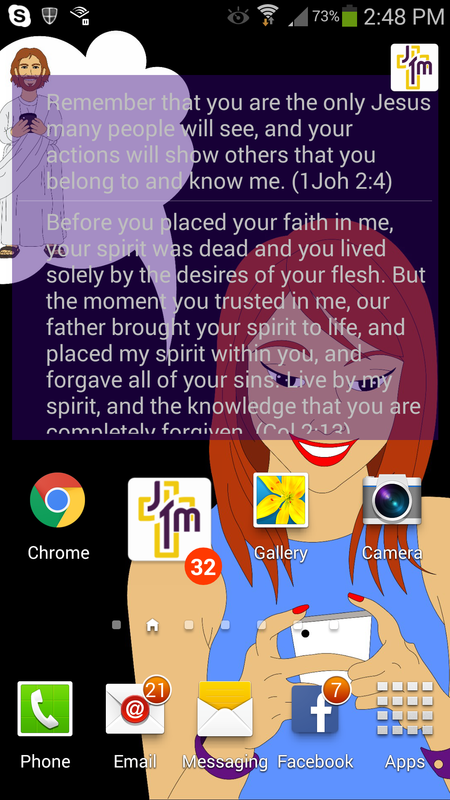 Receive messages by text*, email or via our apps. To cancel, log in, click CANCEL on the menu, and CANCEL on that page. 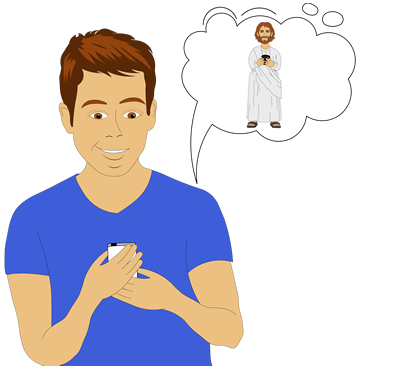 *Not all cell phone carriers accept texts from Jesus Text Me, so users can use email or our Android and iPhone apps to receive the messages instead.